It’s Spring-y out. Okay, it’s flat out Spring. Officially anyway. Utah’s Spring is a little different than it is for the rest of the world. Here it’s just less cold than it usually is, which is to say: cold-ish. Which is neither here nor there. What IS here and there is a perfect Springtime punch recipe I’ve put together for you! Make it how you want, it’s your party and you can drink if you want to. I don’t drink so my version of this punch recipe is non-alcoholic, but if you like you can use vodka and a fruit liqueur to spice things up. This is your rodeo, not mine. Let me lay it on you, this thing is all citrus and it is so right. So good, so right, so perfect for Spring. 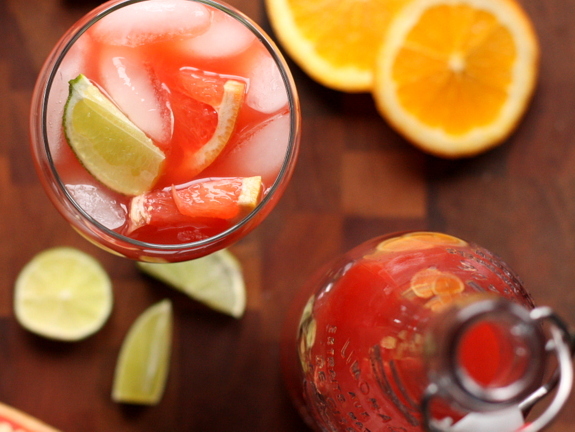 This drink will carry you through slushy Spring into magnificent, beautiful, glorious Summer. Start with a base of 3 cups orange juice adding the fresh citrus juices one at a time as you squeeze them. Stir together and chill for a minimum of 2 hours. Serve with ice and garnish with wedges of fruit. *If you’d like to add a little zing, substitute 1 cup of orange juice with a lemon/lime soda like Sprite or 7-Up. Live on the edge a little. *If you’re making this punch with alcohol, substitute 2 cups of orange juice with 2 cups of a flavored grapefruit vodka, and add a cup of orange curaçao. Pow! 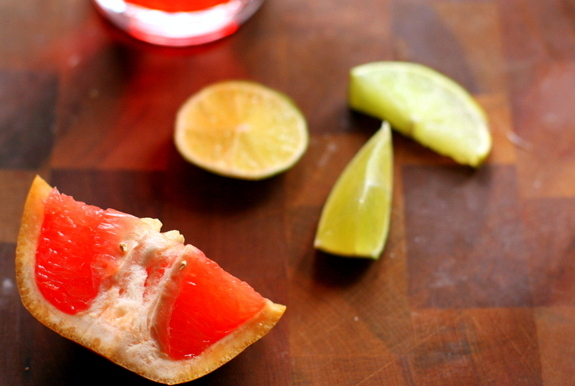 Now you have a perfect springtime punch to share with your friends. Or just yourself, my lips are sealed. I want to slurp it up just from the photos. Those looks so good. And so does the drink!! OK – that first photo is so awesome… the bomb. What a great drink recipe! Beautiful pics, Allison! Looks so good! I had so much fun with you guys today. We must do that more often! I can’t wait to bring this punch to bocce. Love this punch! Gorgeous photos too! Yummy! And the fabulous bottle just makes it yummier! 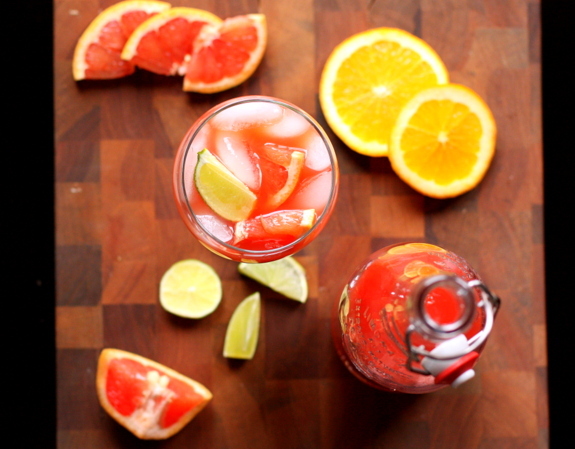 I love everything citrus and this punch sounds so good! I will be serving this at a baby shower coming up, thanks! Thanks for the drink recipe! And the great photos……!